Please read the following conditions carefully, as they contain important information about your legal rights and remedies and will form the basis of the contract under which we will provide you with certain services. By registering for, becoming a member of, or using Export to Japan Website you agree to be bound by these conditions. “Website” means collectively the Export to Japan website (www.exporttojapan.co.uk), the Export to Japan Members Scheme which is hosted within the Member pages of the website, and related Export to Japan Social Media Channels. The Website is solely managed, administered and owned by Business Link Japan. Strategic oversight and decision-making on the Website is provided by the Export to Japan Project Board, which includes the Strategic Partners. “Export to Japan Members Scheme” means the Members access only part of the Website. 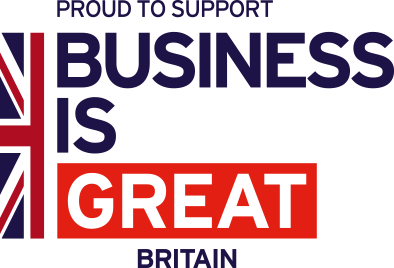 “Department for International Trade (DIT)” (formally known as UK Trade and Investment (UKTI)) is the UK Government Department that supports both businesses in the UK trading internationally and overseas enterprises seeking to locate in the UK, based at the British Embassy Tokyo and British Consulate-general Osaka. ‘we’, ‘us’ and ‘our’ refer to Export to Japan. ‘you’ and ‘your’ in these Terms refer to you, the users of the site. “Content” means any and all textual and graphical content including, without limitation, text, code, graphics, images, logos, photographs, sounds, music, video, animation, characterisation, URL, trademarks, data, media and other content hosted on the Website. “Malware” means any software designed to infiltrate, interfere with, intercept, expropriate or damage a computer system, data or personal information, without the owner’s informed consent, including, but not limited to, “trojans”, “worms”, “logic bombs” and “cancelbots” as the same may be generally understood within the computing industry from time to time and any other malicious and unwanted software. “Our Data” means any and all data or other information generated by or in connection with the Website. “Our Property” means any and all (a) software, code, scripts, functionality, hardware, technology and documentation developed by or on behalf of us at any time, or provided by us as part of, or in connection with the Services; (b) interfaces, protocols, databases, data formats, structured XML formats, grammars, glossaries, libraries, specifications and other similar materials developed by or on behalf of us at any time, or provided by us as part of, or in connection with the Services; (c) our trademarks, service marks, logos, insignia, domain names, trade names, trade dress (including any “look and feel”) whether now known or created in the future; (d) our Content; (e) our Website; (f) ideas, processes, procedures, systems, methods of operation, concepts, principles and discoveries of any kind made or developed at any time; and (g) Our Data. “Services” means the services offered by us on the Website. “Partner” or “Partners” means those companies who entered into a formal agreement to be promoted on the Website. This includes the Strategic Partners unless stated otherwise. “Partner Offers” means the offers or discounts which Members can access from the Website, and includes the offers from the Partners unless stated otherwise. “Registered User” or “Registered Users” means all those who have created an account through the Website. “Member” or “Members” means all those who have been entered into the Export to Japan Member Scheme by us, and who have access to the Partner Offers. “Your Data” means any and all information or data you give to us about you and data input by you, for the purposes of using the Website or facilitating your use of the Website. 2.1. Use of the Website (www.exporttojapan.co.uk) is subject to the following terms and conditions. 2.4. We reserve the right to change the Website and any or all of the Services available on or through it at any time from time to time or to discontinue the Website or any or all of the Services available through it at any time. We make no guarantees but will try to ensure that the Website is available and free of bugs and other errors. We may suspend all or part of the Website or your access to it from time to time, for various reasons, including, but not limited to, (i) maintenance procedures or repairs performed by us; (ii) equipment failures; (iii) congestion of the network; or (iv) interruption of telecommunication or digital transmission links. You acknowledge and agree that we are not liable for these periodic interruptions in the Website. 3.1. We encourage organisations wishing to refer people to our material on the Website to do so using a hyperlink rather than reproducing the text – see section 8.1 below. 3.2. Unless otherwise stated, Export to Japan and/or its licensors own the intellectual property rights in the website and material on the website. Subject to the license below, all these intellectual property rights are reserved. You may view, download for caching purposes only, and print pages or downloadable documents from the website for your own personal use, subject to the restrictions set out below and elsewhere in these terms and conditions. 3.3. Neither the name ‘Export to Japan’, ‘Export to Japan Members Scheme’ nor any logo used by the Website may be used by you or on your website without our prior written approval. Requests for permission to reproduce such items should be sent to info[at]exporttojapan.co.uk. Please tell us how and why you wish to use our name or logo(s) and include your contact details. 3.4. You acknowledge that we own all Intellectual Property in Our Property. We legally own a wide range of IP rights used in and relating to the Website, including (without limitation): (a) each of the trademarks the Website, and related logos; (b) the Partner listings, the event listings which you can get access to through our site; (c) the design, text, graphics, articles, blogs and other Content of the web pages on the Website, together with all the web addresses associated with those web pages, other than those which we use under license; (d) in all the software used in relation to the Website, other than that which we use under license. 4.1. Hyperlinking to us at the Website: Subject to observing the rules outlined in sections 2 and 3 above you can link directly to pages hosted on this site without asking our permission. However, in making such links you must not imply endorsement of your site or your organisation by the Website or the Strategic Partners unless we have an agreement to do so. We do not permit our pages to be loaded into frames on your site – the Export to Japan pages must load into the user’s entire window. All Registered Users of the site are entitled to download and place the official ‘Export to Japan’ Registered User Icon on their own sites. 4.2. Hyperlinking by us at the Website: We are not responsible for the Content or reliability of any websites to which we link, nor should listing by the Website be taken as an endorsement of any kind. We cannot guarantee that these links will work all of the time and we have no control over the availability of linked pages. 5.1. The ability for you to reproduce our material in accordance with the instructions in section 3 above DOES NOT extend to any material on this site that is the copyright of a third party, including the Partners. Authorisation to reproduce such material has to be obtained by you from the copyright holder concerned. 7.1. You can register and enrol on the Website as an individual or on behalf of an organisation by using the registration forms on this Website. Some of the Services provided through our Website have additional eligibility criteria. 7.2. As part of the registration process, you will select a username, password, and email address. You shall provide us with accurate and complete information. Failure to do so shall constitute a breach of this agreement, which may result in immediate termination of Your Account. 7.3. You hereby agree to inform the Website or its agents of any changes to your information, when such changes occur or requested by the Website or its agents. You can do this by logging into www.exporttojapan.co.uk, select login on the top menu bar, enter your username and password, then select ‘My Account’ and ‘Edit Account Details’. 7.4. You may not select or use as Your Account ID a name of another person with the intent to impersonate that person. If you provide any information that is untrue, inaccurate, not current or incomplete, or we have reasonable grounds to suspect that such information is untrue, inaccurate, not current or incomplete, We have the right to suspend or terminate Your Account and refuse any and all current or future use of the service (or any portion thereof). We reserve the right to refuse registration of or cancel Your Account at our discretion. 7.5. We reserve the right to reject any registration and to refuse service to anyone for any reason, in our sole and absolute discretion. We reserve the right to terminate Your Account immediately and without notice to you at any time and for any reason. Currently, we are not charging a fee for registering on the Website, but we reserve the right to do so in the future. 8.2. We have the right to investigate your online activities for ‘click-fraud’ or any similar activity, and you agree to provide reasonable help with these matters. Except as expressly provided herein, we reserve all rights with respect to the Website and may pursue all legally available options under both civil and criminal laws (and may cooperate with law enforcement agencies) in the event of any violations. 8.3. You must not use the Website: (a) for any unlawful purpose; (b) to harm, threaten, abuse or harass another person, or in a way that invades someone’s privacy or is (in our reasonable opinion) offensive or is unacceptable or damaging to us; (c) to create, check, confirm, update or amend your own or someone else’s databases, records, directories, customer lists, mailing or prospecting lists; (d) to provide any kind of commercial information service; (e) as a source of material or contact data for any kind of marketing activity; (f) to tamper with, update or change any part of the Website; (g) in a way that affects how the Website is run; (h) in a way that imposes an unreasonable or disproportionably large burden on our communications and technical systems as determined by us; or (i) using any automated means, to monitor or copy the Website or its Content, or to interfere with or attempt to interfere with how the Website works. 8.4. You must not systematically extract and/or re-use any or all of the Website or its Content without our express written permission (which may be granted or withheld in our absolute discretion). In particular (and without limiting the generality of the foregoing), you may not use any data mining, robots, or similar data gathering and extraction tools to extract for re-use (whether once or many times) all or a substantial part of the Website. 9.1. You agree that Export to Japan in its sole discretion, may terminate your password, account (or any part thereof) or use of the service, and remove and discard any Content within the service, for any reason, including, without limitation, lack of use or if we believe that you have violated or acted inconsistently with the letter or spirit of the terms and conditions. 9.2. Export to Japan may also in its sole discretion and at any time discontinue providing the service, or any part thereof, with or without notice. You agree that any termination of your access to the service under any provision of this terms and conditions may be effected without prior notice, and acknowledge and agree that Export to Japan may immediately deactivate or delete Your Account and all related information and files in Your Account and/ or bar any further access to such files or the service. Further, you agree that the Website shall not be liable to you or any third party for any termination of your access to the service. 10. We will make every effort to check and test the material we make available for you to access or download on the Website. You acknowledge and agree that you will run an appropriate anti-virus programme on all materials downloaded from the internet, including from the Website. We cannot accept responsibility for any loss, disruption or damage to Your Data or your computer system which may occur as a result of using material derived from the Website. 11.1. This website is an information guide only and should not be relied on as a substitute for your own research or independent advice. The Website accepts no responsibility for any loss or damage caused to any person as result of any error, omission or misleading statement in the information on this website, or due to using the website or relying on that information. 11.2. We are providing access to the negotiated Partner Programme in good faith for companies doing business in Japan. Whilst every reasonable care has been taken to establish the bone-fides of these companies, Export to Japan takes no responsibility for the quality of the service provided by Partners, or for the decision, solely for you to make, to access the Partner Offer and contact the Partner to access the offer. We are not intermediary between the Member and Partner and you should do your own research into whether these Services are right for you and your business. We take no responsibility for any disputes which may arise. These are for you to resolve with the Partner directly. You should access the offers in full knowledge that the Partners provide just one offer of many that there may be available in the market for the Member, and that there may be better offers available in the wider market. 11.4. The Website, including all Content, Services, software, functions, materials, data and information provided or made available in connection therewith, are provided “as is.” You use the Website, the Services and any online functionality or tools at your own risk. To the fullest extent permissible by law, the Website and Export to Japan hereby disclaim any and all representations, warranties, declarations or guarantees regarding this agreement, the Website, or any of the transactions contemplated hereby, including, without limitation: (a) any and all express and implied conditions, terms and/or warranties of non-infringement, merchantability and fitness for a particular purpose; (b) any and all implied warranties arising out of a course of dealing, course of performance or usage of trade; and (c) any and all obligation, liability, right, claim or remedy in tort (whether or not arising from our or Export to Japan negligence). 11.5. We do not warrant that the functions contained on the Website will meet your requirements or be available, timely, secure, uninterrupted or error-free, and we will not be liable for any service interruptions, including, but not limited to system failures or other interruptions that may affect the receipt, processing, acceptance, completion or settlement of any transactions. 11.6. Some jurisdictions’ laws do not allow the exclusion of an implied warranty, in which case all or part of the foregoing disclaimers may not apply to you, and we disclaim to the maximum extent permitted under applicable law all warranties of any kind, whether express, implied or statutory, including without limitation warranties of merchantability, satisfactory quality, fitness for a particular purpose, title, non-infringement or quiet enjoyment. 11.7. We are not involved in your transactions with the Partners, nor are we involved in your dealings with other users of the Website. Accordingly, if a dispute arises between you and one or more Partners, Registered Users, Members or other people using the Website, you hereby release us, our directors, officers, employees, agents and subcontractors, from claims, demands, and damages (actual and consequential) of every kind and nature, known and unknown, suspected and unsuspected, disclosed and undisclosed, arising out of or in any way connected with such disputes. 11.8. We do not have any liability whatsoever whether direct, indirect, consequential, punitive, special or otherwise and whether in contract, warranty, tort (including negligence), product liability or any other legal theory, even if advised of the possibility of such damages and notwithstanding any failure of essential purpose of any limited remedy arising out of or related to any beta features. “beta feature” means any service feature that is expressly identified as “beta”, “alpha”, “experimental”, “pilot”, “evaluation”, “pre-release”, or some similar designation or that is otherwise expressly identified as unsupported. 12.1. Material provided by you to the Website Export to Japan, or to its representatives and designated in writing by you as confidential will be used solely for the purpose for which it is provided. Other than where required by the order of a court or other competent authority or where we think it is necessary under the Freedom of Information Act 2000 we will not disclose any of Your Data to any other person without your prior written consent. 16.1. We will give you notices (including contractual notices) electronically, by emailing you or posting the notice on the Website. You hereby consent to receive notices and other communications from us in this manner and agree that such notices are “in writing”. 17.1. To submit an enquiry, please do use our contact form.